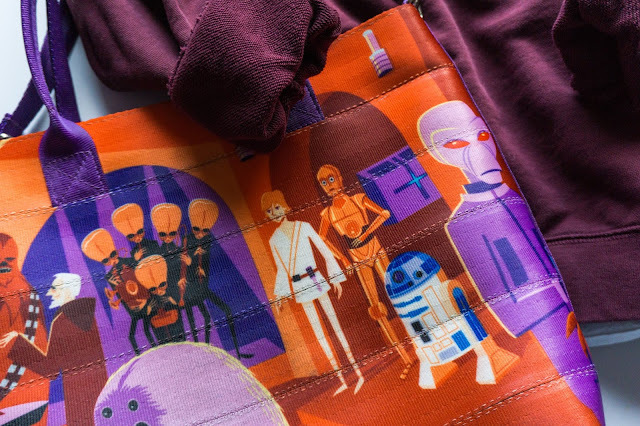 As Star Wars Celebration Anaheim quickly approaches, more and more companies have been announcing merchandise that will be exclusive to this convention. One of my favorite stores, ThinkGeek, will have a bunch of fantastic items for attendees that can only be purchased at Celebration! There will be a total of five items that can only be purchased at Celebration Anaheim and then two more items that will be released to Celebration attendees first before anyone else. Don't miss them at booth #910! 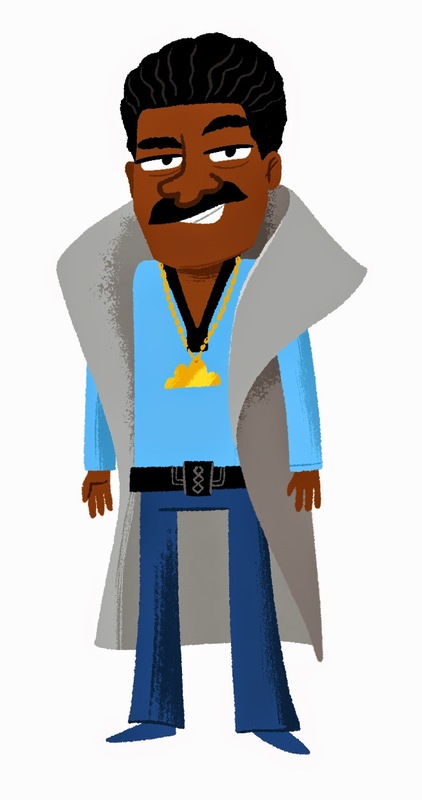 Star Wars Celebration Pin Trading Exclusive: Lando Calrissian- "Hello, what have we here?" One of the best smugglers and gamblers in the galaxy is featured on this exclusive pin and showing off his charming smile. If you collect pins or want to trade pins around the convention, you definitely need this one! Limited Edition Star Wars Celebration Patch with purchase of Con Bag of Holding- Patches are great souvenirs to remember conventions that you've attended. Celebration is going to be an event that you'll remember for a lifetime so why not get an exclusive patch to remind you of all the special memories you'll make?! With the purchase of ThinkGeek's Con Bag of Holding, you will get this awesome Star Wars Celebration Anaheim patch. 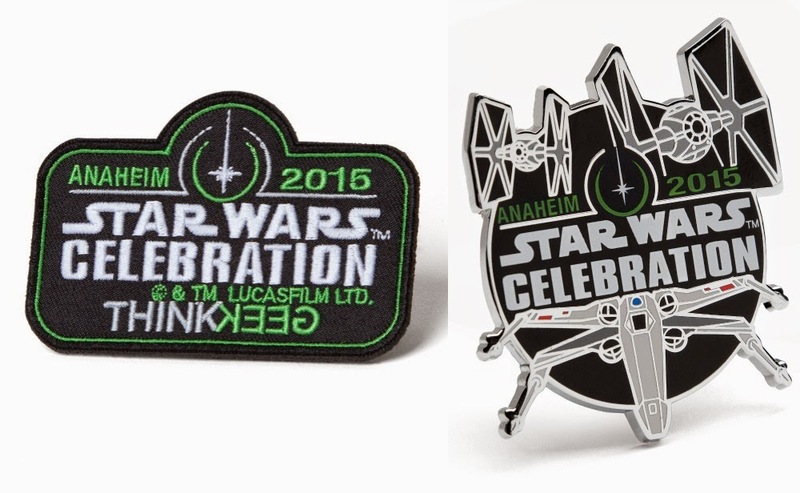 Star Wars Celebration Exclusive ThinkGeek Pin- Lock your S-foils into attack position! This beautifully designed pin featuring TIE Fighters and an X-Wing would look great on your convention badge lanyard or on the strap of your Con Bag of Holding. Russell Walks Retro Star Wars Poster Set- Illustrator Russell Walks created an amazing poster set featuring our favorite trio, Luke, Leia, and Han, just for ThinkGeek. 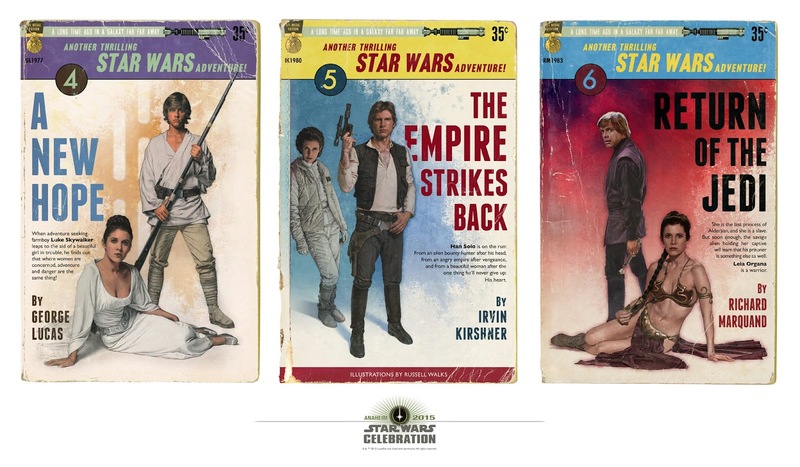 Only 250 pieces of this retro style poster set will be sold at Celebration so don't miss out on this opportunity! Russell Walks 8x10 Propaganda Prints, featuring the 501st Vader’s Fist- *cue Imperial March* Courage! Loyalty! Strength! 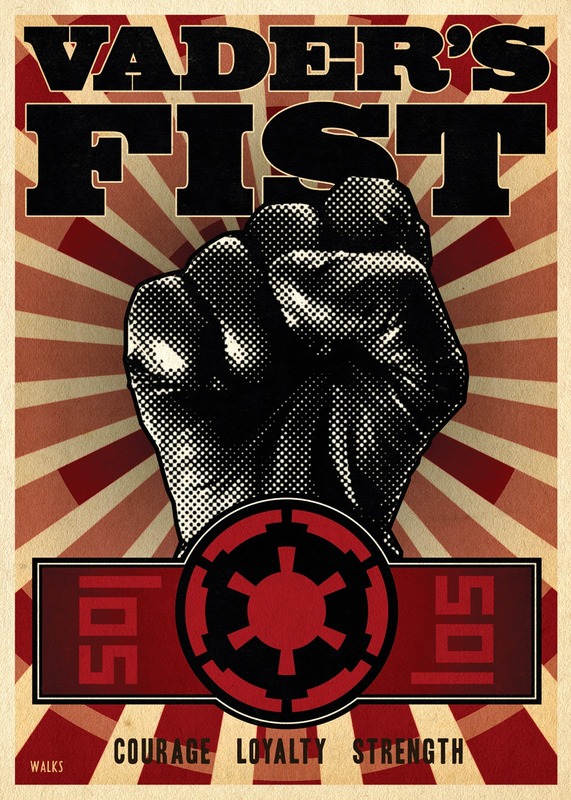 Join Vader's Fist...or you can just get this amazing propaganda print by Russell Walks. I think the Dark Lord himself would approve of this poster. Again, this will be available for purchase only at Celebration Anaheim so don't miss out! The next two items that ThinkGeek will offer at their booth are super special because Celebration attendees will be able to get these before anyone else in the world. 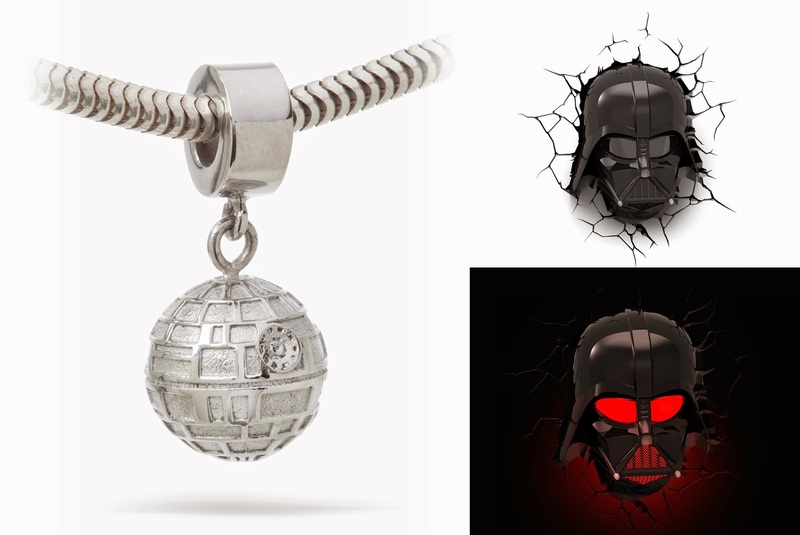 Death Star Charm Bead- That's no moon...that's a charm bead! 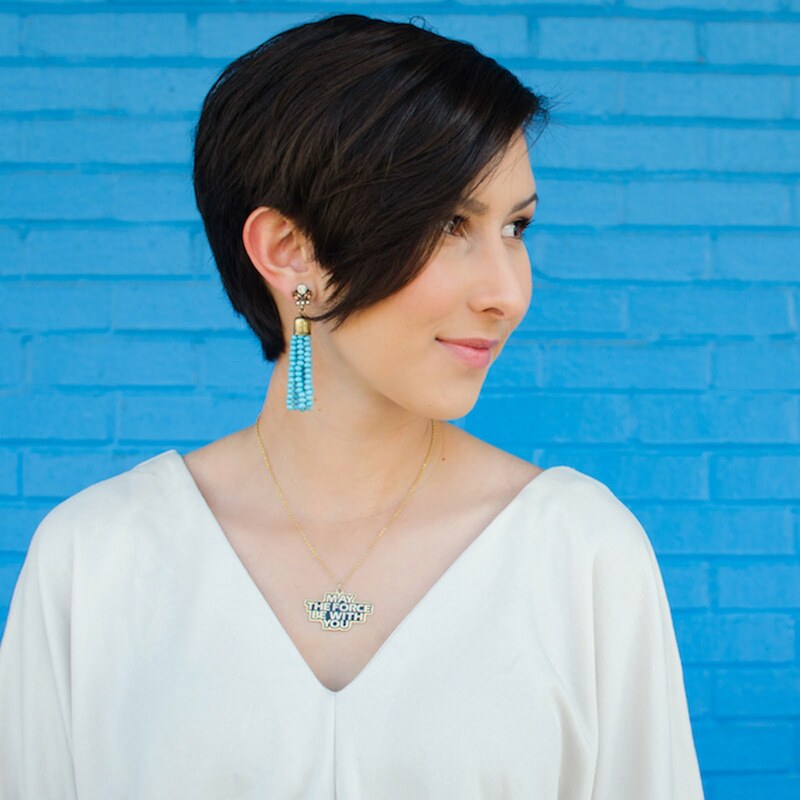 Show off your nerdy side through your jewelry with this stunning Death Star charm (compatible with all major charm bracelets). ThinkGeek also offers a wide variety of Star Wars charm and a bracelet online, which you can view HERE. I think the Death Star charm would be a perfect addition to a bracelet with the Darth Vader, Imperial Alliance, and Stormtrooper charms. Geek chic! 3D Deco Star Wars Darth Vader Wall Light- This wall light would look great in a kid's bedroom, man cave, or pretty much anywhere in your house. Turn on the light and Vader glows red! Impressive...most impressive. I love these exclusives and can't wait to see them for myself. ThinkGeek will be located at booth #910. Check them out! What is stress? Pressure is an natural reaction. Reaction to what? Risk or real risk. Risk or real risk of what? Reduction. Lack of what? Individual energy. What does personal energy mean? It indicates control over your own life. That's what you're scared you could reduce. This first article is about the worries of considering you could reduce energy. The second is about the worries of considering you could reduce love. "And what have we here?"